Do you need to send large files from your Android device every once in a while? There are quite a few apps for storing and managing your files in the Cloud, but there isn’t that much choice when it comes to actually sending files. DropSend for Android is an app connected to the DropSend service. It’s free and lets you send files of up to 8GB each if you’re a pair DropSend user and files of up to 4GB each if you’re a free user. Let’s have a look at what the app can do. If you want to learn more about the DropSend service, read our review. When you first open the DropSend app, you are asked to log into your account. If you don’t have a DropSend account yet, you can always sign up under the free plan. Once you sign in, you get two options: to send a file and to upload a file to your online storage. Clicking on Send File takes you to your storage space where you can select a file you want to send. To be honest, I expected the Send File button to offer me an option to select a file from my device and just send it, but I can understand that the app asking me to upload a file first is convenient because that way there will be no duplicate files stored in my online storage. So I selected a file from my storage and then followed the prompts to send it. The great thing about the app is that everything works really fast, so I was able to send a file in under a minute. When the file was sent, I got a push notification that it was sent successfully. The upload option also worked very quickly, so that I had the files I needed to send stored in my account. 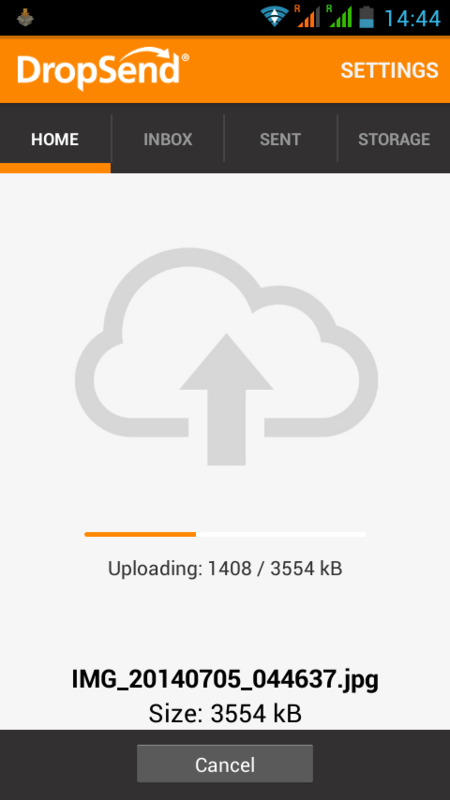 You can track the upload progress and you get a push notification when it’s finished. The app looks very sleek, is very intuitive and works fast. To be honest, that’s all I need from a file sending app. The only problem that can arise is if you are using a device with a smaller screen. Then it might be difficult to tap on different letters to access your files (they are sorted alphabetically). Other than that, I really enjoyed using DropSend. 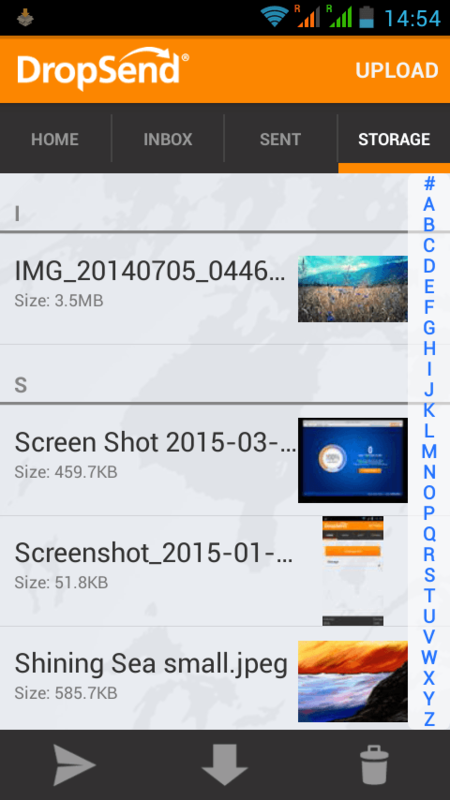 DropSend for Android is a great app for sending large files and managing your DropSend account.